Nebo’s view of the eastern U.S. The boat named “My Boat” isn’t my boat. Not long ago while talking to another boater he mentioned something about finding another boater on Nebo. At first I thought he misspoke, but then he repeated the name three or four times. Now I was curious so I grabbed my phone and searched the app store. 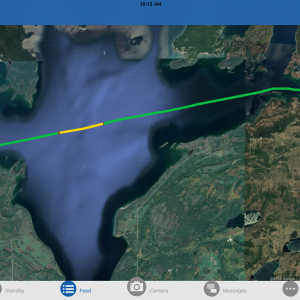 What I found was pretty impressive… think one part Marine Traffic and one part social network. 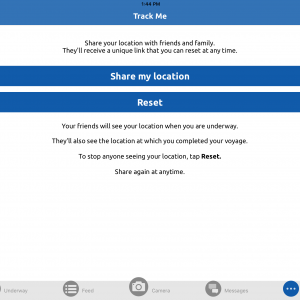 Nebo is a free app available in both the iOS and Android app stores, and its tagline — “Log. Connect. 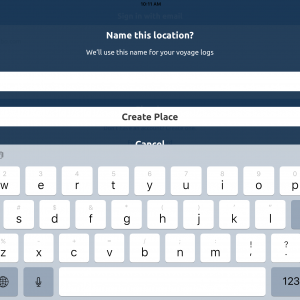 Share the journey” — does a pretty good job of capturing the core functionality. 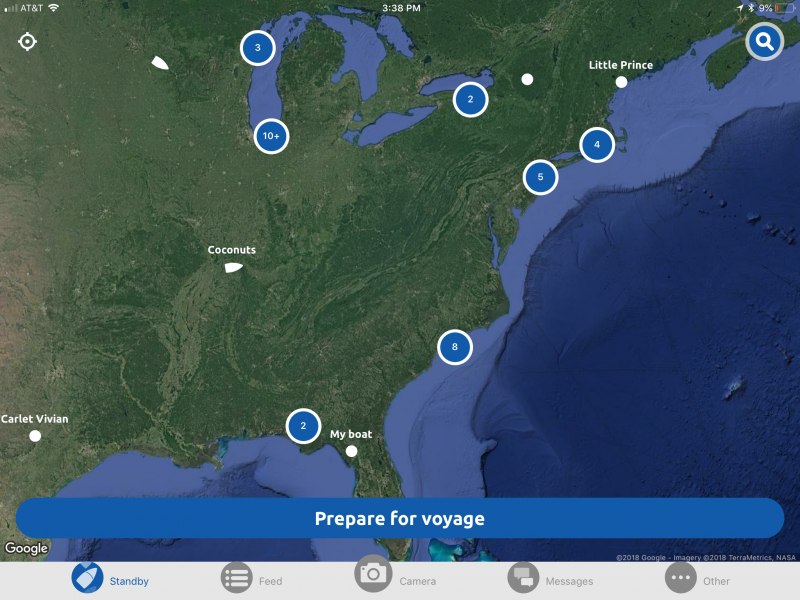 It offers strong trip logging, messaging and social networking features aimed at boaters. Successful social networking takes a lot users and, as seen above, there aren’t many in the U.S. yet. 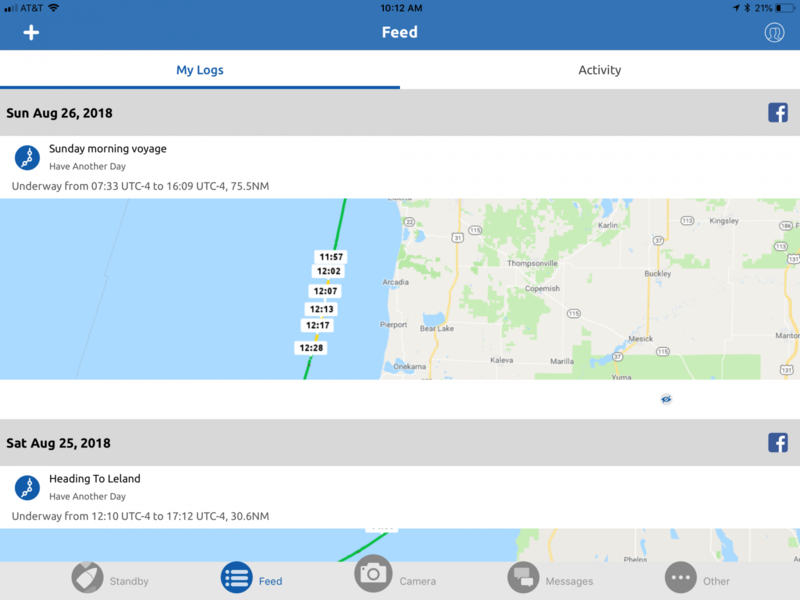 But Nebo’s Managing Director Stephen Winter says they already have about 18,000 vessels registered worldwide and I know that many current Loopers are using it, details below after a hands-on Nebo tour. 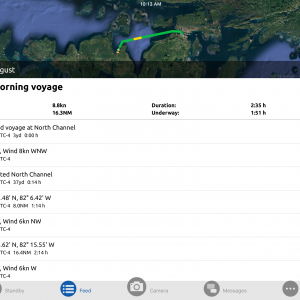 Nebo attempts to make voyage tracking as easy as possible with a few quick questions. 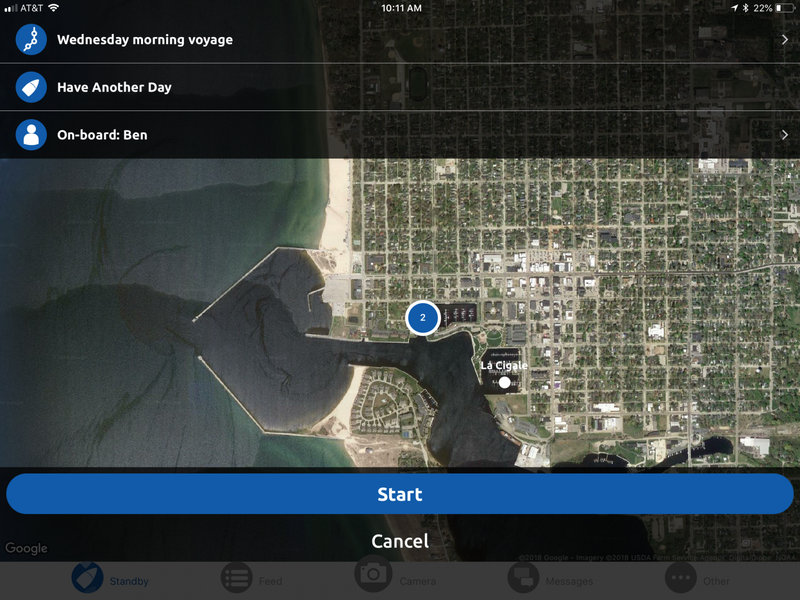 If Nebo doesn’t recognize your starting location it will ask you to name it. 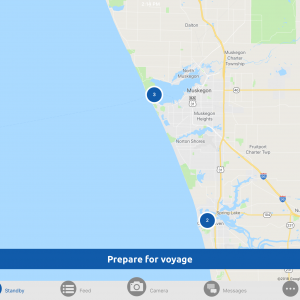 When tracking a voyage Nebo uses their global geofenced library to determine when a vessel leaves one area and arrives in another. Currently they have constructed this library with extensive coverage of Australia, their home market, Florida and the Mediterranean. I’ve been using it on the Great Lakes. While I haven’t been able to take advantage of the geofence library, the tracking still works well, but without some of the pretty names and awareness of geographic landmarks. 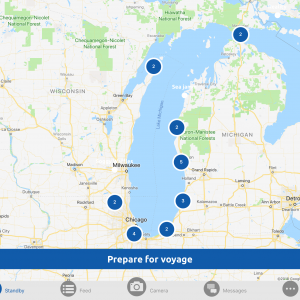 The biggest challenge I’ve encountered while using Nebo is remembering to start it when I begin my voyage and end it when I’m done. A problem I’ve had with other tracking functions as well, though as I’ve used them longer I’ve built them into my routines. 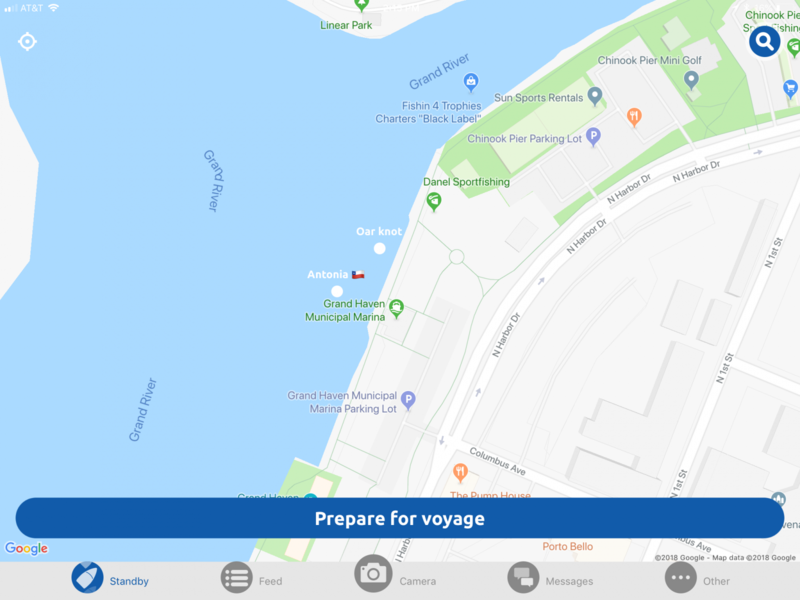 Nebo has a feature where once it notices you’ve stopped moving it asks if your voyage is over and tracking should be shut off. It’s harder for Nebo to figure out when your trip starts. 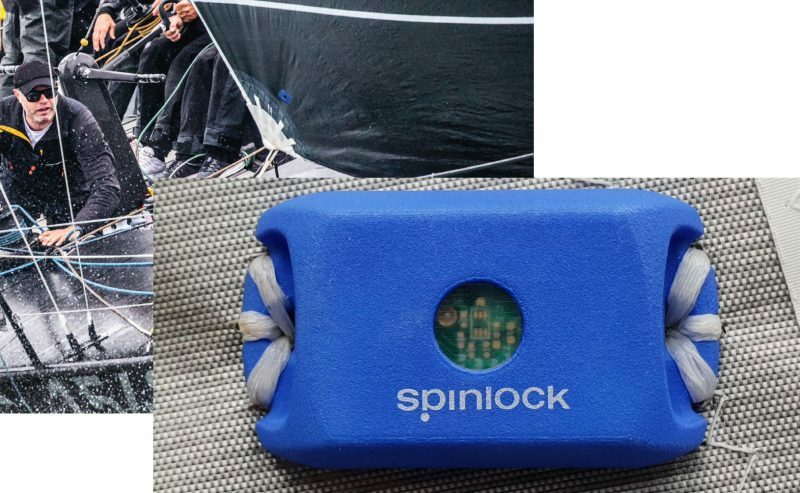 Stephen Winter says they are currently evaluating relatively inexpensive hardware that could be installed on the boat solely for the purpose of transmitting tracking data. Nebo is also evaluating working with existing hardware like FloatHub and building off their ability to send data to AIS tracking services. Nebo’s logging is found under the “Feed” section of the application. 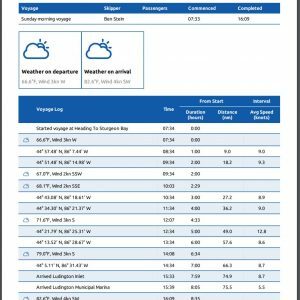 The “My Logs” tab displays a list of your trips with a snippet of the section displayed. 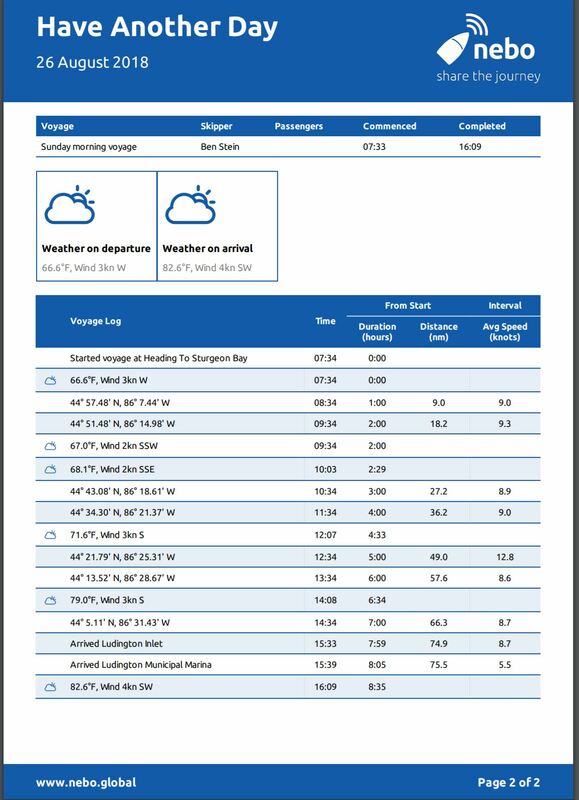 Clicking on one of those trips brings up a detailed log with trip summary statistics, individual segment info and weather conditions during the trip. 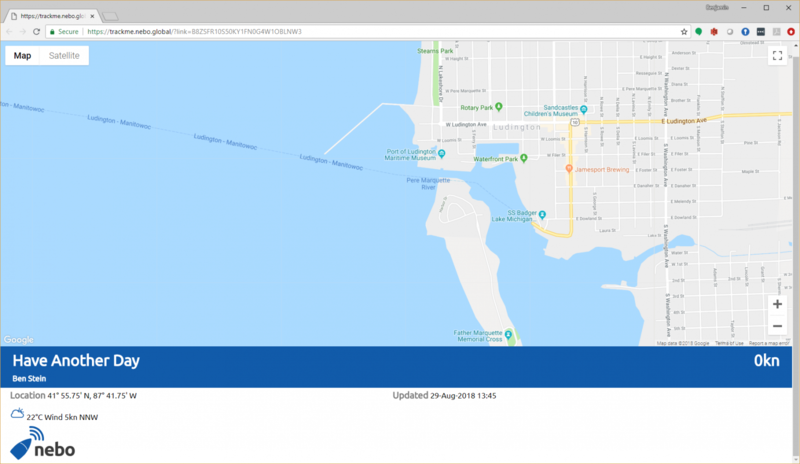 The lack of geofence library information can be seen in the second screenshot above where latitude and longitude are displayed rather than place names because Nebo doesn’t have that information. 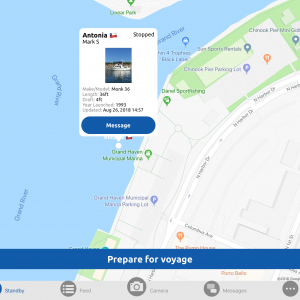 Each day after you’ve logged a voyage an email is sent with summary information about your voyage as well as weather and detailed information about each leg of the trip. 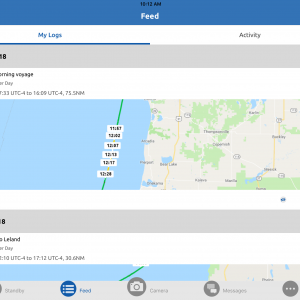 I already use Aqua Map, Navionics Boating HD, and the track function on my MFD to keep track of my trips, but none deliver as clear and easy to read summaries Nemo. 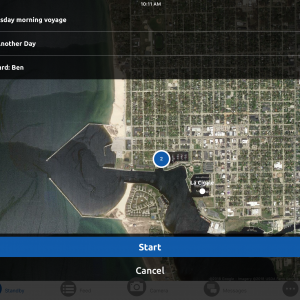 While tracking a voyage you also have the ability to allow a non-Nebo user to follow your voyage. 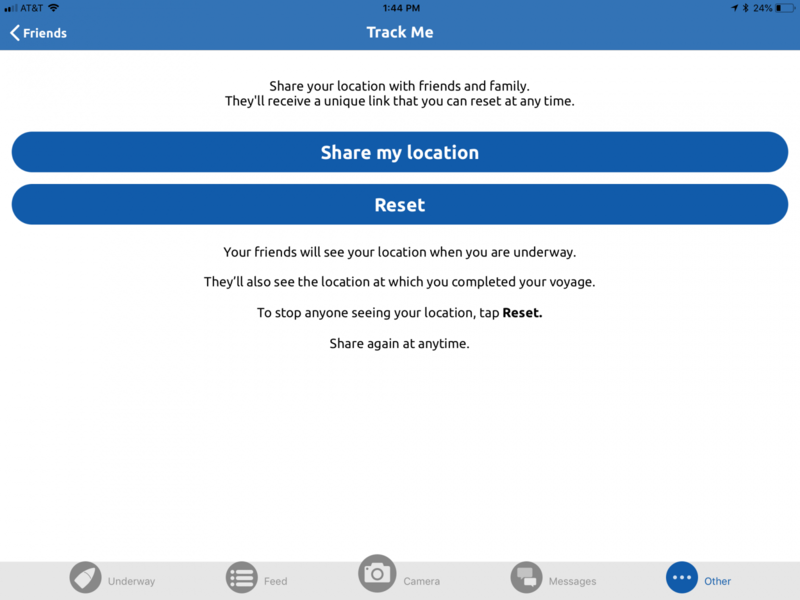 In the “Other” menu under the “Track Me” option you can use the “Share my location” button to send an email, text, Facebook message, etc. to friends so they can watch your voyage. 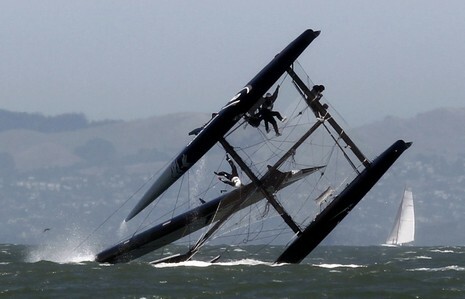 One of my favorite capabilities is seeing all the boats around me. When you zoom out to cover a large area, vessels relatively close together are grouped as a single blue circle with a number showing the total vessels in that area. 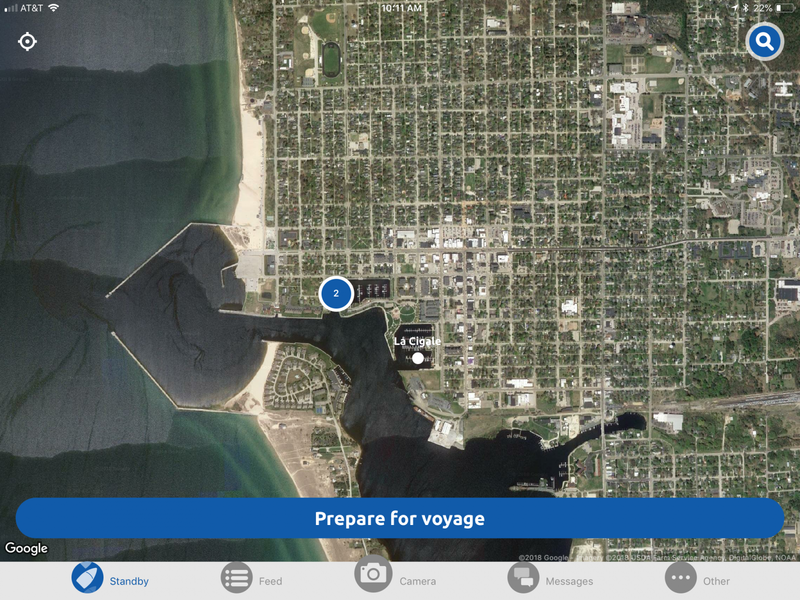 Above, the first image shows all of Lake Michigan and the boats on the lake. 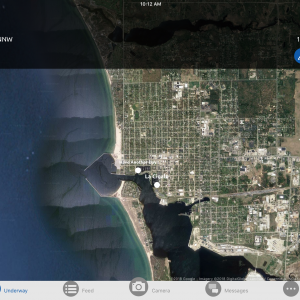 I then zoomed into the Muskegon and Grand Haven area on the east side of the lake towards the middle (shown with a 5 in the first image). 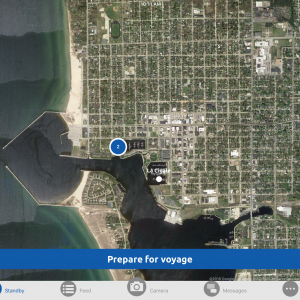 That zoomed in view is what’s shown in the second image; here you can see three of the boats are in Muskegon and two are in Grand Haven. Further zooming into Grand Haven, as I’ve done in the third image, shows the individual vessels in Grand Haven. 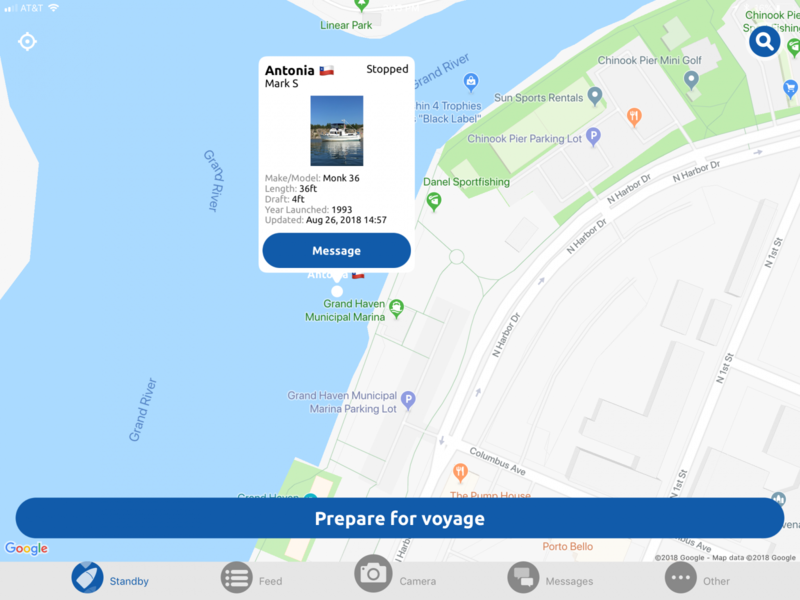 Lastly, clicking on a boat as I did in the fourth image, brings up information about the boat and a picture of the boat if the user has provided one. From what I’ve observed, Nebo displays all vessels it knows about; not just the vessels with which you’re friends. I’m a member of the America’s Great Loop Cruising Association (AGLCA) and that boater I talked about up top is also an AGLCA member. Loopers, as boaters on the loop are referred to, frequently meet up with other loopers along the way. Nebo’s ability to quickly show vessels around you is really helpful in finding others in an organization or group. Nebo has found strong adoption among loopers. I’ve found this very helpful, as it has meant most of the time when I spot an AGLCA burgee on the bow of a boat I’m able to find them in Nebo. 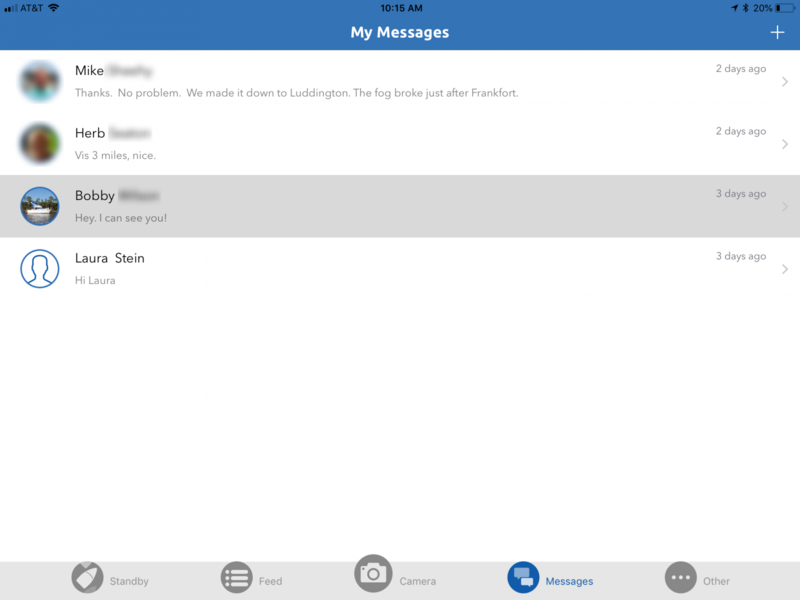 Friend functionality is built in where you can add other boaters you know are using Nebo or invite contacts to begin using Nebo. 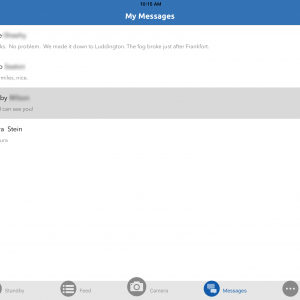 Once added as a friend you will be able to see your friend’s activity appear in the activity feed area as well as being able to message them from the “My Messages” section. 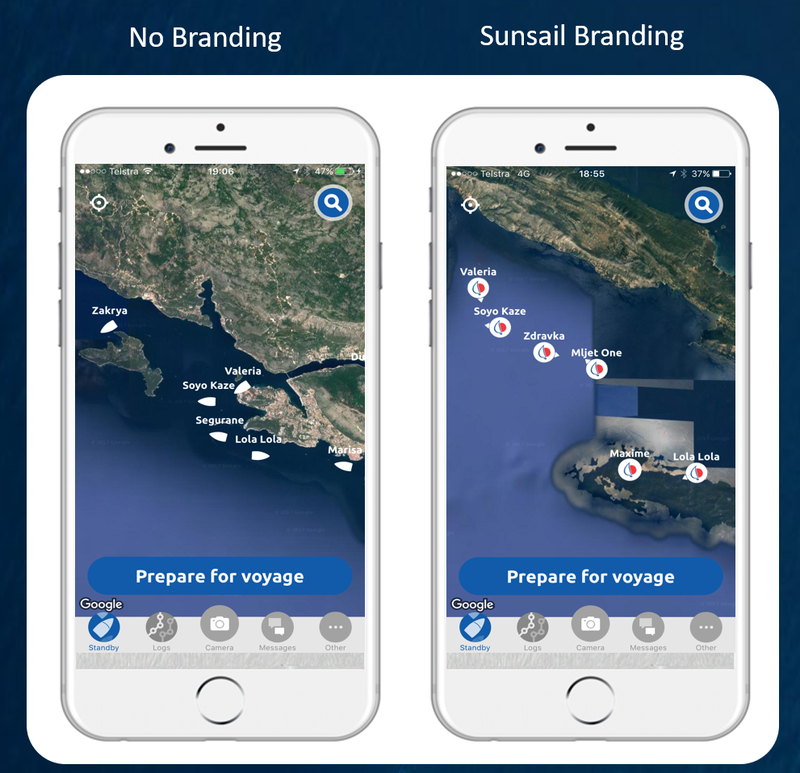 Nebo is already working with Sunsail’s charter fleet in the Mediterranean. 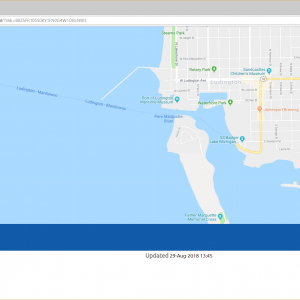 Currently, there’s no functionality to automatically add members of a group, verify membership, or otherwise interact with the memberships of Yacht Clubs, Cruising Clubs, and other organizations but Nebo is working on developing those capabilities. The two screenshots above show the two mapping options. 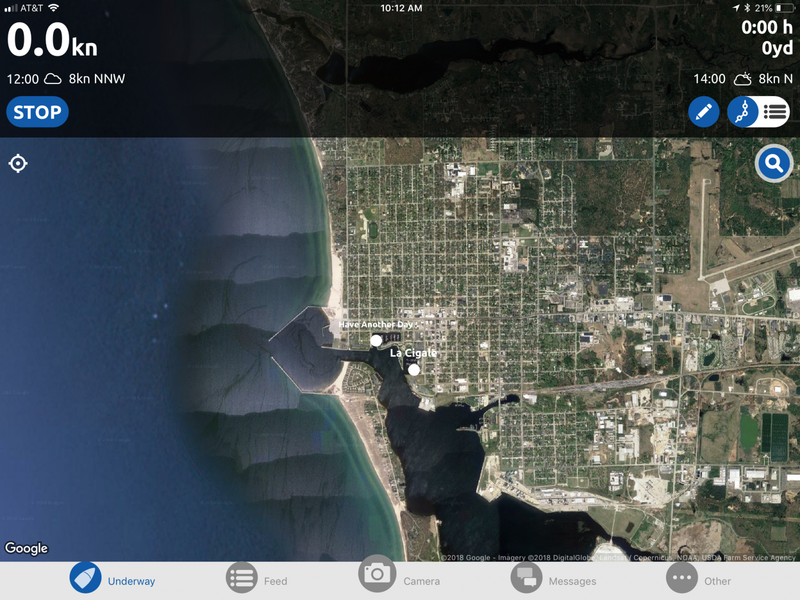 Those are Google Maps with cities, towns, and roads appearing or satellite view with no labels at all. I’d like to see an option for the satellite view to have some labels present as well as marine cartography. 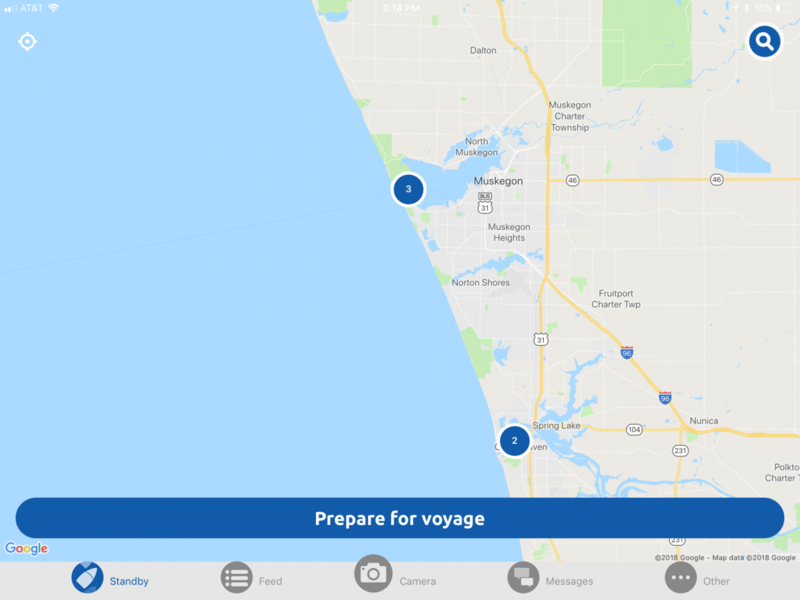 I’m also concerned that Nebo overlaps with some of the AIS tracking services out there and serves to provide one more app to check to find the boats around you. 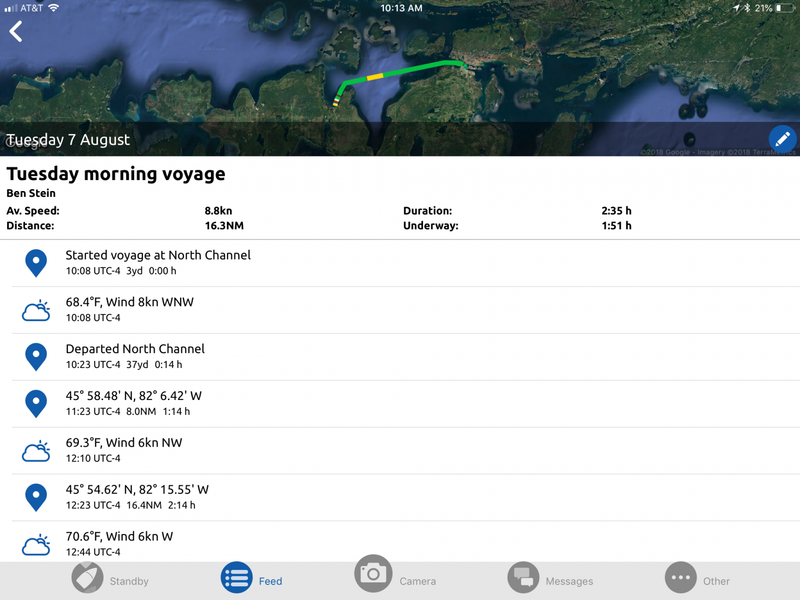 If a boat has AIS on board but isn’t using Nebo you would find their position on AISHub or Marine Traffic. 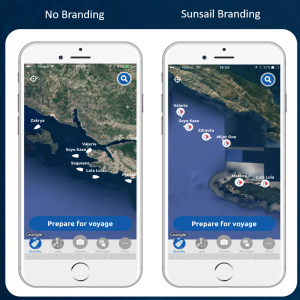 If a boat doesn’t have AIS but is using Nebo you would find their position on Nebo. 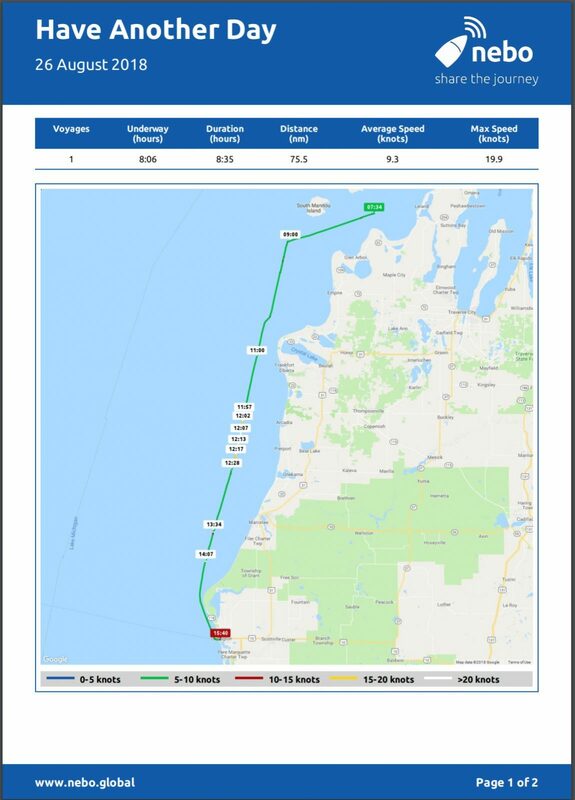 Nebo is considering a premium version and perhaps that would offer the ability to overlay AIS data from one of the AIS tracking services. 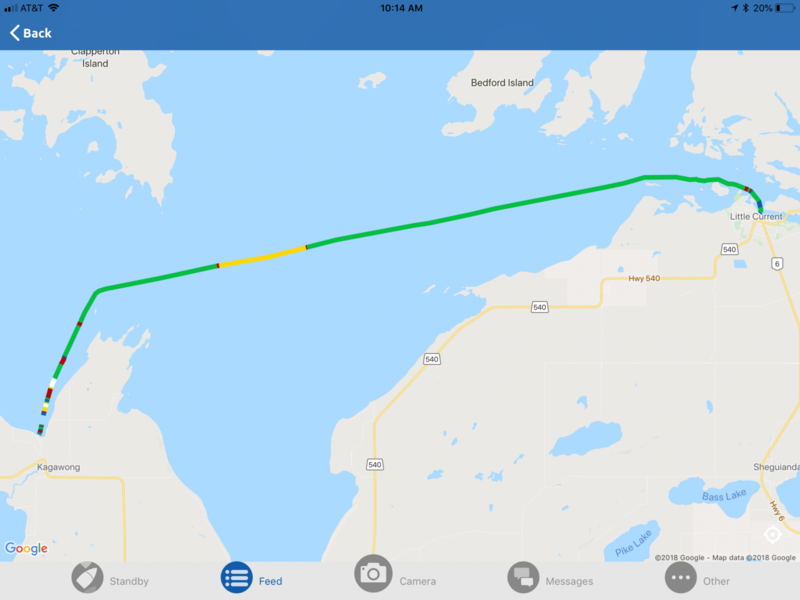 With AIS data available in Nebo, the user would be able to see both Nebo tracked vessels and vessels tracked via AIS on a single screen. On the flip side, perhaps Nebo could send updates to those tracking services. 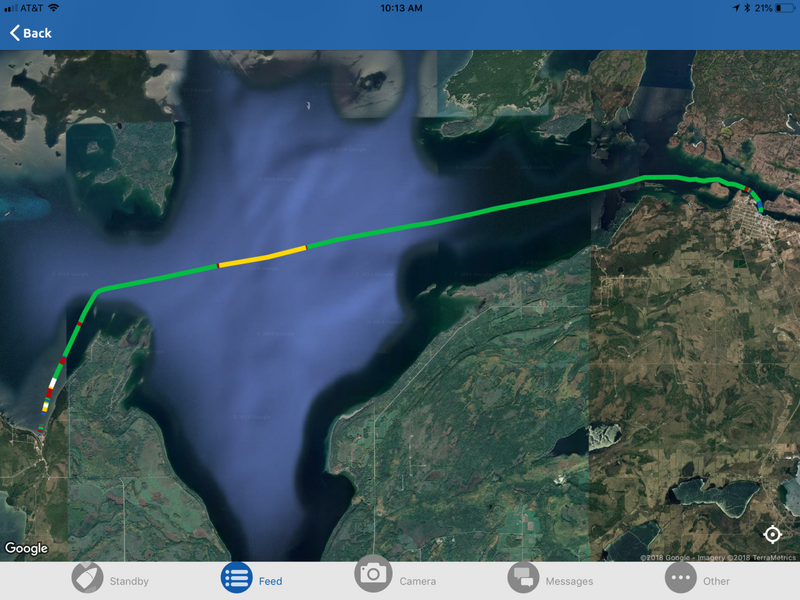 Marine Traffic currently supports something similar via their own OnCourse app. Nebo presents information in a clear and easy to understand format. 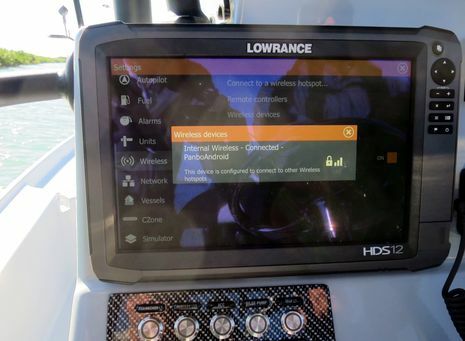 The overall experience is clean, the user interface is intuitive, and it makes figuring out where other boats are pretty painless. Like any social service, the trick is in getting people to use it. Nebo’s usefulness goes up dramatically if more boaters are using it. 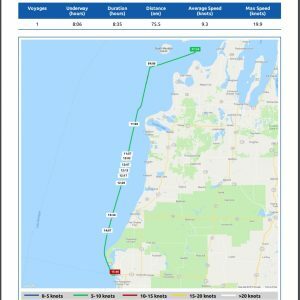 I’m hopeful Nebo’s adoption will increase over time and that Nebo can find ways to integrate with other sources of data to get as many vessels as possible covered in one app. Seriously, I’m trying Nebo too and finding it fairly simple to use and well designed. 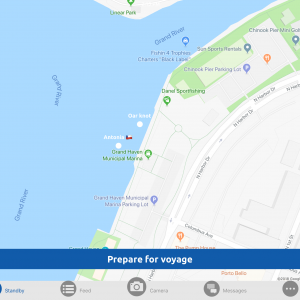 But there are some oddities, like showing boat names in white, which works great on the satellite map but not all great on the regular map. Also, boats seem to fall off the map after a certain period. 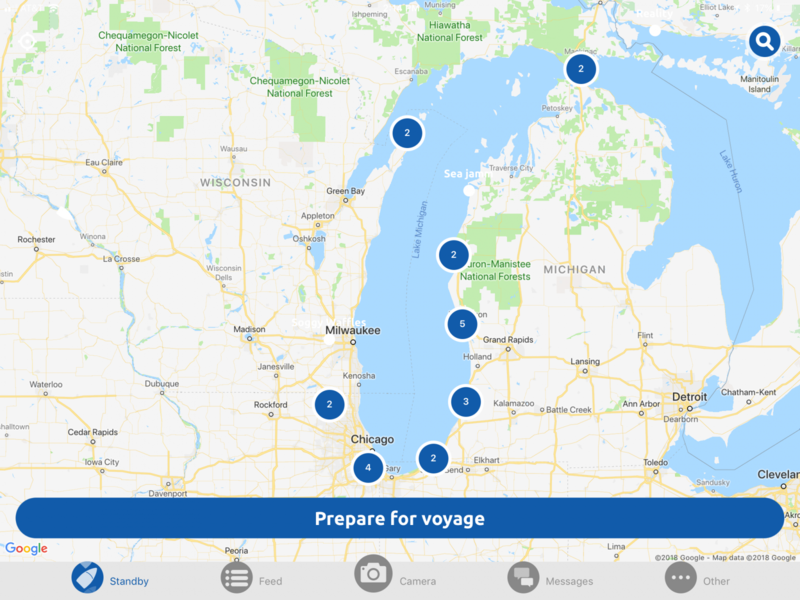 For instance, I can’t see Have Another Day (new Ben’s boat) on Lake Michigan right now though I can find it with Nebo search. Along those lines, please feel free to friend Have Another Day (or Ben Stein) as well. Interesting article. I ‘m from the Channel Islands, UK and use NEBO. Its a great way to keep decent logs with far more info than I would write in a notebook. Totally agree though – remembering to start and stop it is giving me a headache. Esp when going out for the day and anchoring in several places for an hour or so before resuming your trip. It messes up the times if you don’t stop it immediately when you reach a destination. Other than that its really good – not used the other boaters features as not seen any other users in the area yet! Thanks for you comments, and Ben S thanks for undertaking the review. We’re still in the planning stages of our ‘Auto-start and Auto-stop’ functionality. Ideally, skippers will build Nebo into their pre-start steps (that’s one reason we put the pre-start checklist functionality in there), but I know forgetting to start and stop Nebo will still occur. Re boats falling off the map, we only display boats on the map for a few days after their last voyage. Otherwise it gets too cluttered. Not sure that explains why you can’t see “Have Another Day” on the map, Ben E. Will check it out. Looking forward to more comments and suggestions as you put Nebo through the wringer 🙂 . I think we do a reasonable job testing before release, but there is absolutely nothing like real world usage to uncover inconsistencies. I might be able to shed some light on where my boat went. I did some of the final editing on the article while at home. While doing this I started and stopped a voyage to double check some details. As a result I believe my boat was shown as being at my house. While that would save me a great deal in storage expense I don’t think it would be too popular with the neighbors to park a 57′ boat in the front yard. 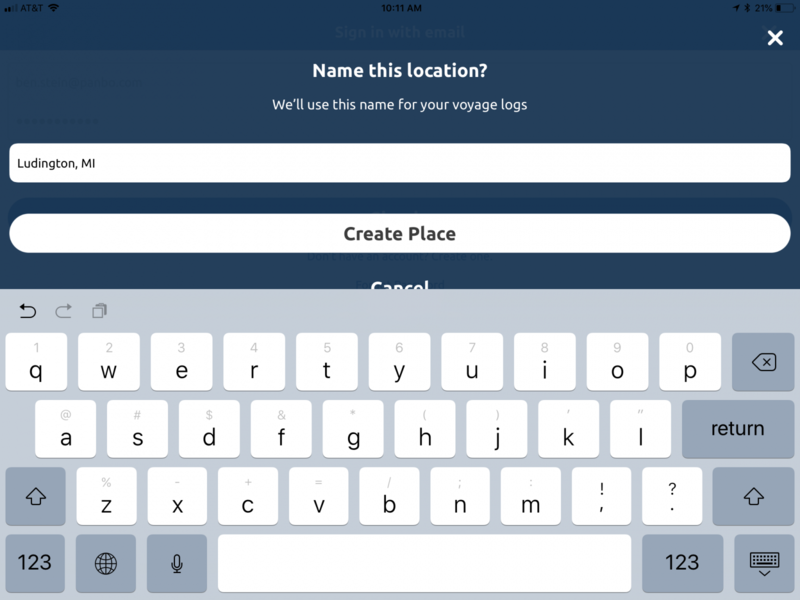 Unfortunately apart from my first trip in Nebo (in a parking lot) it failed to log subsequent trips, never emailed the log and there is no evidence of the trips in the Nebo app. I checked out their website. It seems the team is composed of every corporate management and marketing roles but no mention of anyone technical. I’ll stick to OpenCPN which works a treat. I’m sorry Nebo didn’t work for you, but I’m sure we could address whatever happened. Just email [email protected] and it will come straight to my inbox. Re your observations on the make-up of our team, please be assured that there is a significant technical team reporting directly to me. Thanks for your reply Stephen. We’ve just completed the trip down the US West Coast from Seattle to Los Angeles. 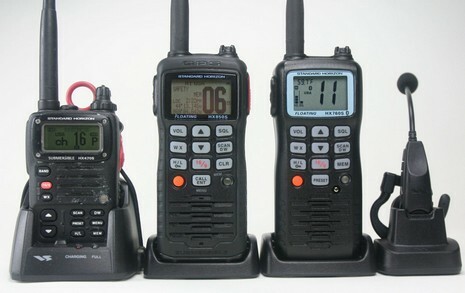 We were using a number of track recorders from OpenCPN on laptops with GPS pucks, our B&G system, satcomm trackers, phones with apps and tablets with apps. 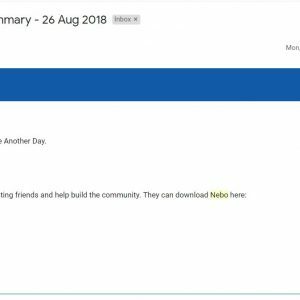 I deleted Nebo as we were a little busy in the last month. So no opportunity to provide log data this time. Love the concept of Nebo but I evaluate hundreds of tech tools each year so I don’t tend to linger on anything that doesn’t provide immediate value these days. Would be nice to see some info on your tech team on your site. I work in tech in the US (I am an Aussie) and its the norm here to be able to identify and validate the tech talent in most startups and tech orgs. 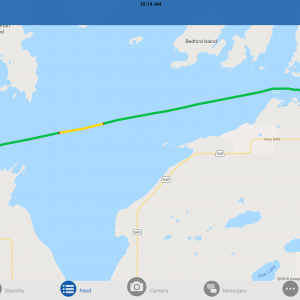 I mentioned in the post quite a few people travelling the Great Loop have been using Nebo; Nebo and the American Great Loop Cruisers Association (AGLCA) have announced (https://nebo.global/nebo-chosen-by-americas-great-loop-cruisers-association-as-official-app/) the AGLCA has adopted Nebo as their official tracking app. I’m looking forward to seeing how this works. I’m hopeful that perhaps loopers will automatically be added to a roster so they can easily find each other.